I love big impact white wines such as Sauvignon and Chardonnay but I’m starting to develop a new appreciation for the low keyed style of Italian whites. They start simple but increase in interest and pleasure as you drink. Shades of good dinner party guests. There is also potential for harmony with the moment. Right now I’m sipping on a delicious Verdicchio (from a previous Vintages recommendation) that mirrors the gentle breezes off Prince Edward County’s East Lake, and the glow of the sunset. A perfect harmony of wine and context. Cannot top that. 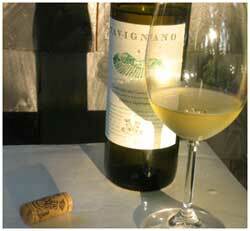 Over the next month I’ll be telling you about some wonderful Italian whites coming to Vintages. Stay tuned.